Start off your visit on the 1st (Wed): don't miss a visit to Confluence of the Indus and Zanskar Rivers, contemplate in the serene atmosphere at Gurdwara Pathar Sahib, take in the spiritual surroundings of Spituk Monastery, then examine the collection at Hall of Fame, and finally take in the spiritual surroundings of Thiksey Monastery. 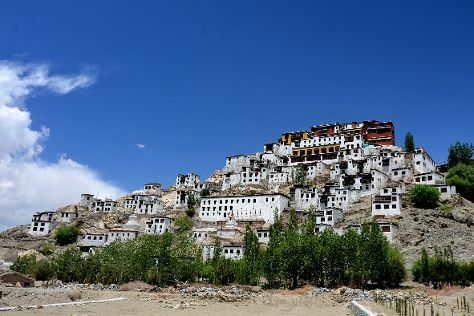 To find photos, other places to visit, and other tourist information, refer to the Leh day trip planning site . Mumbai to Leh is an approximately 6.5-hour flight. You can also drive; or do a combination of train, taxi, and bus. Finish up your sightseeing early on the 1st (Wed) so you can travel back home.